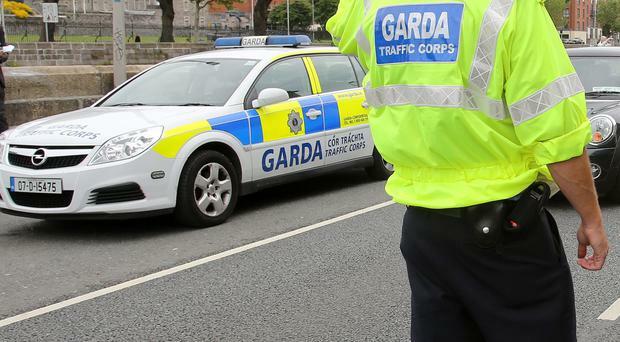 A man has died in a collision in Cork which also left a child with serious injuries. The crash occurred around 8am today outside Fermoy in north Cork. The circumstances of the incident remain unclear but the collision occurred some 3km from the town on the N72 Fermoy-Ballyhooely Road. It is understood two vehicles, a 4x4 and a car were involved. The male driver of the car died while a child, understood to be a passenger in another vehicle, suffered serious injuries. That vehicle contained an adult and a second child - both of whom were also hospitalised. However, they are not understood to be seriously injured. Fermoy Gardaí attended the scene together with units from both Fermoy and Mitchelstown Fire Brigade. Despite desperate efforts to stabilise the young man's condition, he was pronounced dead before he could be transferred to Cork University Hospital (CUH). The road involved outside Fermoy has been closed to allow for a full examination of the scene by Garda accident investigators. The man's body will be removed to CUH for a post mortem examination. Gardaí have appealed for anyone who may have witnessed the tragedy to contact Fermoy Garda Station on 025-82100 or the Garda confidential Line 1800 666111. The death brings to five the number of people who died on Cork and Waterford roads in the space of just 72 hours. A young woman died in Cork in a collision on Friday night when three people, all believed to be young men, died in a two-vehicle collision outside Dungarvan on Sunday morning. Six others, including four children, were hurt in the Dungarvan collision.